Bill Steinkraus on Snowbound. The pair won individual gold at the 1968 Olympics in Mexico City. Steinkraus passed away on November 29th. He was 92. 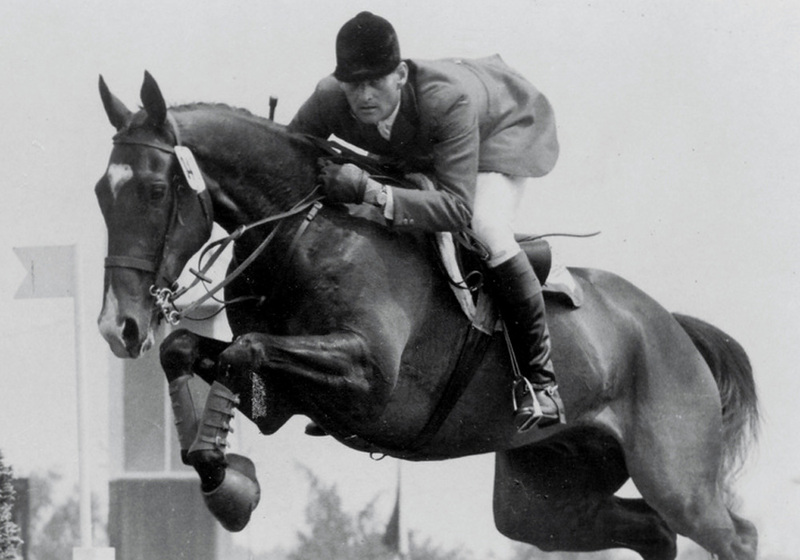 Before there was George Morris to dictate excellence in equitation, there was William “Bill” Steinkraus. For many of us, he epitomized horsemanship — his perfect equitation and unflappable demeanor was synonymous with success. In addition to being the first American to win an individual Olympic Gold in an equestrian sport, he also won team silver at the 1972 Munich Olympic Games (riding Main Spring) and at the 1960 Rome Olympic games (riding Riviera Wonder) as well as team bronze a the 1952 Helsinki Olympic Games on Hollandia. Below is his Olympic Gold round in Mexico City. What you may not know about Bill Steinkraus is that after his freshman year at Yale University he enlisted the Army in 1943, where he was part of the 124th Cavalry Regiment during World War II and fought in Burma to help reopen the Burma Road. He then returned to Yale, graduating in 1948. One of the founding members of the USET, Steinkraus was also an accomplished violinist, who played in the Connecticut Symphony. Steinkraus retired from showing in 1972, but remained involved in the sport acting as a judge, TV commentator, clinician, coach and author. For 17 years, he was the chef d’équipe of the U.S. show jumping team. Even after he retired, he continued to ride. “I enjoy raising horses – preparing and educating them,” he said. “And I still love riding as much as ever. Riding can be many different things; it can be physical and death-defying, but it can also be aesthetic and low key.